What’s missing from Town’s 3-man midfield? In recent weeks, Grimsby Town joint-managers Rob Scott and Paul Hurst have tinkered with the formation in preparation for next season. The 4-4-2 used for the majority of the season has been ditched in favour of the 4-3-3 that they used at times earlier in the season. 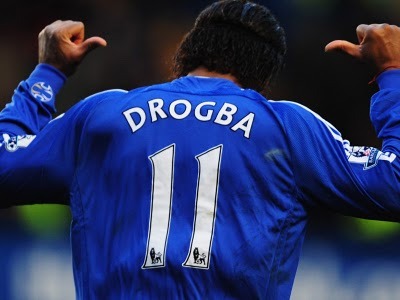 Whether this is a sign of things to come for next season or not, only time will tell. But if 4-3-3 is a system that Scott and Hurst will look to favour when the 2012-2013 kick off in August, it will need a lot of work on the training ground as well as a new player or two. Looking at the final fixture of the season, in which The Mariners suffered a 1-0 home defeat to Southport, the lone frontman Anthony Elding was generally isolated and the midfield three were too often in a straight line across the pitch. There isn’t too much criticism you can throw at the players that played in midfield for Town. Captain Craig Disley, Frankie Artus and Andi Thanoj are all good players. They all work hard enough and want to play football in the right way. The problem with playing them as a three is that they all like to play in a similar way – stay quite deep, pick the ball up from defenders and pass it. The team needed an extra dimension yesterday in midfield as it became a flat 3 in the middle. In the first 10 minutes Artus made a few runs forward off the ball and I thought he would be the one that would continue to do that and get closer to Elding when Town attacked. 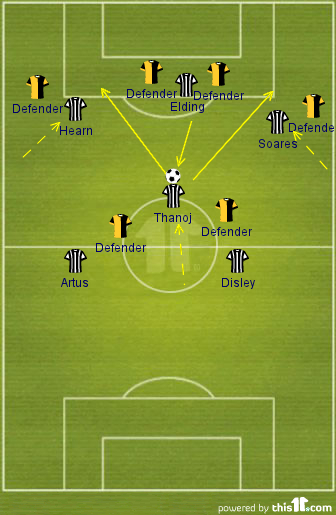 But that didn’t really happen and the only time the midfield broke from being a flat 3, was when Disley or Thanoj came deep to get the ball from McKeown or the centre-backs. Ideally – and he has the ability to do it – I would have liked to have seen Thanoj pass the ball into the striker’s feet and follow his pass straight away, running forward wanting it back (as shown below). As the second diagram shows, Thanoj can follow his pass forward and Elding returns it into his path. At the time Elding lays the ball back, Hearn and Soares make a diagonal run in towards the penalty box. Elding’s part isn’t finished either as further movement from him can drag a defender with him and create more space for either Hearn or Soares to be played in. So Thanoj now has options. He can play in either Hearn or Soares, find Elding himself if the centre-back chooses to close down Thanoj and leave Elding in space, or he can take the ball on himself and shoot. The other option not shown on the diagram above is that as Hearn/Soares run infield, the Town full-backs suddenly have yards of space to attack down the flanks. A square ball from Thanoj plays one of the full backs in and gives them a chance to put a cross into the box. If they do hit an early ball into the box, there should be enough bodies in there to hit. Elding would have been joined by Hearn and Soares coming in off the flanks. And Thanoj can either join them in the middle or hold his position on the edge of the box. If he hangs back on the edge of the box he can gather any slack clearances that come his way, or even be available for the full back in possession to cut the ball back along the floor for Thanoj to shoot. What Town really need is a Groves/Bolland type midfielder who will break from the midfield line and get close to the striker. Someone to arrive late in the box to get on the end of crosses. Someone to get onto knock-downs from the front man after a long-ball up. Someone for the full-backs to find with neat passes as they make forward runs towards the opposition box. Town could also do with a Manny Panther-type holding midfielder. A disciplined and intelligent player to do the simple things when in possession, and be the man that plugs the gaps when others go forward to attack. Someone with the tactical nouse of Panther would have held the position to prevent York scoring their last minute winner at Blundell Park in March – where the York full-back intercepted a pass and ran half the length of the pitch before hitting a winning goal from just over 20 yards. Games against the top five sides in the league have shown that it is necessary to have such a player. And a strong, mobile presence in midfield would enable Town’s other midfielders to play a few yards higher up the pitch when in possession. Scott and Hurst don’t need to make major changes to the squad, but there are some vital areas where we do need to bring players in. And I feel this approach to rebuilding the midfield would go a long way to giving the team a midfield that could compete with anyone in the league. The York City winger is comfortable on either flank and is at his best when running with the ball at the full back. He does possess a trick and keeps full-backs guessing whether he’ll cut inside or hit the by-line to deliver a cross. He has that special commodity of pace, which combined with his undoubted ability, makes him destined for a career in the Football League sooner or later. York have had a good season and are on course to make the play-offs, where they will stand as good a chance as any of reaching Wembley and winning promotion. Blair has already reached double figures in goals for the season and will look to add to that to help his side to promotion. York will be pleased they signed him on a 2-year deal when he arrived from Kidderminster Harriers last summer as they may receive an enquiry or two for the talented winger. Part-time Barrow’s 20 year old right winger has had a great first season in the Blue Square Premier. After being released from Tranmere Rovers having not made an appearance at the club, Barrow signed the scouse talent on a one-year deal last summer. Very slight in build, the young winger is lightning quick and terrorised several left backs in the division. He has been an important part of a Barrow team that had only lost at home twice up until the beginning of March – when they began a terrible run of results that has seen them slip into the bottom half of the table. Whilst only managing a handful of goals this season, his fearless approach to attacking the full-back and dribbling past players has certainly not gone unnoticed. There is sure to be a queue of clubs wanting to offer him terms as his contract expires in the summer. After joining Charlton Athletic as a trainee, Thomas had loan spells at Accrington Stanley, Barnet and Lewes before signing on a free transfer for Woking in 2009. He spent two seasons with Woking before signing for Braintree after they clinched promotion to the Blue Square Premier last summer. The 22 year old left back has shone in a Braintree side that has adapted well in their first season at this level. He’s a classy, pacey full-back who loves to get forward, as shown by his five goals this season. He’s certainly one to watch as full-backs in this mould are often in demand higher up the leagues, possibly even more so with left footed full backs who seem a slightly rarer breed. Braintree will do well to hold on to a player who is comfortable defending against tricky wingers and shows his pedigree in the elegance with which he controls the ball in possession. At only 21 years of age, Norwood has already proved to be one of the most dangerous wingers in the division. His senior career started at Eastbourne Borough, where he made just a handful of appearances before signing for Exeter City. He only made a handful of appearances in the Football League with Exeter and was loaned out to Sutton United, Forest Green Rovers and Eastbourne Borough during his two year spell with the Grecians. 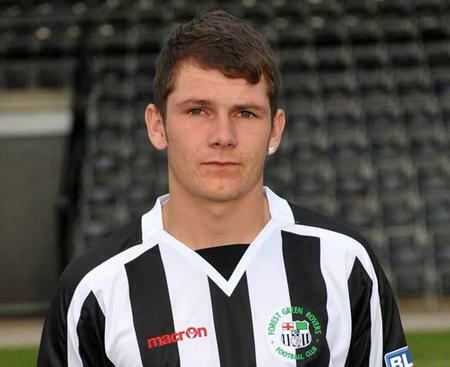 In the summer of 2011 he signed on a permanent deal for Forest Green Rovers and hasn’t looked back since. He has been a regular in the side all season when available, and has shown huge promise as a right footed attacker on the left of a three. His goal return isn’t great as he won’t get close to double figure for the season, but for a first full season of football it has been a big success for the former Brighton and Crystal Palace trainee. He is strong on the ball, skilful and can run with the ball under control at speed. There are sure to be bigger clubs impressed by Norwood, but he may opt to stay at Forest Green where financial security has been secured under new owners. Either way, he has a bright future in the game and is destined to play at a higher level. As the only centre-forward on this list, the 26 year old Hearn has been a huge success for Grimsby Town. At the time of writing only Football League-bound Jamie Vardy has scored more league goals than Hearn – a great achievement for a man playing his first season in full-time football. Hearn has worked hard to climb the footballing ladder, playing for Hucknall Town, Eastwood Town, Chasetown and Quorn before a fantastic spell at Alfreton Town forced bigger clubs to take notice of his talent. 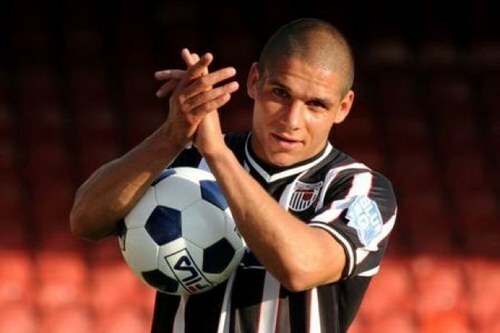 Grimsby paid a fee thought to be in the region of £30,000 for him last summer. As he began to adapt to his first season at this level, Hearn failed to score in his first ten games. His performances showed signs there were goals to come though, and after notching his first Grimsby goal against Wrexham at the end of September, he hasn’t looked back. He has hit 3 hat-tricks as well as smashing four past previous club Alfreton in October. His confidence has grown as the season has progressed and he helped Grimsby get over a terrible start to the season to force a late attempt to gate-crash the play-offs. With his first full season under his belt and the rate of improvement he has already shown, Hearn will be a key part of Grimsby’s next attempt at returning to the Football League. Pictures courtesy of yorkcityfootballclub.co.uk, barrowafc.com, shropshirestar.com, forestgreenroversfc.com and chelseanoticiasbr.com. AFC Waltham successfully defended the Jim Ainley Cup against a Kings Head XI at Mount Pleasant in an entertaining game. The Division Six side retained the trophy in the charity fundraising fixture that has become an annual event. Waltham lined up as above in a 4-4-2 formation, but with rolling substitutions permitted, it was a good chance to give every available player some time on the pitch. The big team news was that player-manager Paul Thompson started himself at centre-back. And he was looking comfortable until a lack of match fitness saw him substitute himself after 25 minutes, with Kent Bennett coming on at left back and Karl Wright slotting in alongside Lidgard at centre-back. Before leaving the pitch though, the Waltham boss was kind enough to let the centre-forward he was marking back out of his pocket. Waltham started the game on the front foot and the first half saw them create several chances, only for wasteful finishing to let them down. Early in the game Dan Moore found Bryan on the left who skipped past a defender and fired inches wide of the post. As the game progressed, Stoneman at right-back was finding himself in possession more and more, and linked up well with winger James Leshone. And it was after good work down Waltham’s right that the opening goal of the game was created. Leshone bent in a Beckham-like cross from near the touchline and Moore rose like a salmon to head home perfectly into the far corner to make it 1-0. Waltham seemed to settle into the game with some spells of possession after the goal, with Keil Thompson and Aaron Roberts pulling the strings in midfield. Waltham then made a few changes, with James Watkin coming on to play left midfield, Ceclich coming on in an unfamiliar right midfield role and Jordan Hobbins sent on up front. Hobbins soon had a chance to score after midfield playmaker Keil Thompson played a great through ball for the striker to run onto after brilliantly bending his run to beat the offside trap. Hobbins carried it towards goal and smashed it from a tight angle only for it to come back off the near post and go behind for a goal kick. Hobbins had another chance minutes later when Ceclich fed Smith who, with his back to goal, played a Zidane-esque back-flick to put Hobbins through again. 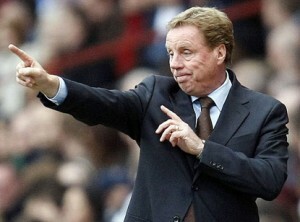 This time he took his shot early and could only scoop it into the ‘keepers hands. The referee, strangely wearing gloves, blew the whistle for half time with Waltham 1-0 ahead. The second half began in the same way the first had ended. With Waltham shading the play but having to work hard for it with the Kings Head XI putting in a real shift and having quality in the middle of the park with Rising and Mikey Wright. Midfield general Rob Saxby came on at half time sporting a black-eye as a result of a rumoured punch-up with Mario Balotelli on a recent night out in Cleethorpes. Saxby showed several good touches as well as getting away with a few attempted assaults on ex-Waltham man Mikey Wright in the Kings Head midfield. AFC Waltham’s all-time record post-war goalscorer Ian Ceclich made a great chance for himself as he sprinted clear of the Kings Head defence, only for the goalkeeper to save brilliantly with his feet. James Leshone was looking for his first AFC Waltham goal and hit a free kick “just” (he said afterwards) over the bar. Midway through the second half Steve Smith thought he had found his side a second goal. Sadly for Smith, strike-partner Jordan Hobbins temporarily thought he was Vincent Kompany and he cleared Smith’s effort off the line and over the bar with a brilliant defensive clearance. Soon after, James Phillipson was sent on up front after passing a late fitness test. Phillipson made a nuisance of himself and was like a young Steve Livingstone winning headers and putting himself about. A second goal did eventually come for Waltham. A Smith corner from the right caused panic in the box and as the ball came out to Saxby 20 yards out, he steadied himself and hit a wonderfully placed volley that bounced 17 times before nestling in the bottom corner of the net. More substitutions followed and Roberts was rested for the final period of the game after a good performance in which he was often the driving force of Waltham going forward. Manager Paul Thompson went back on at centre back alongside the faultless Lidgard. There seemed to be a different Paul Thompson on the field this time though. The Baresi-like defending of the first half was nowhere to be seen as he became an attack-minded centre-back, twisting and turning like David Luiz in his own half with mixed results. Kings Head XI got a goal back in the last 10 minutes when captain Rising floated a free kick over the Waltham defence and Mikey Wright was at the back post to power a header past Harrison to make it 2-1. The Kings Head threw bodies forward in an attempt to force an equaliser and caused problems from a few set pieces. But Waltham held out to see the game out and retain their trophy. Special mention has to go to Paul Lidgard for keeping his name out of the referee’s book for the full 90 minutes.